Are you ready to celebrate Thanksgiving this weekend? 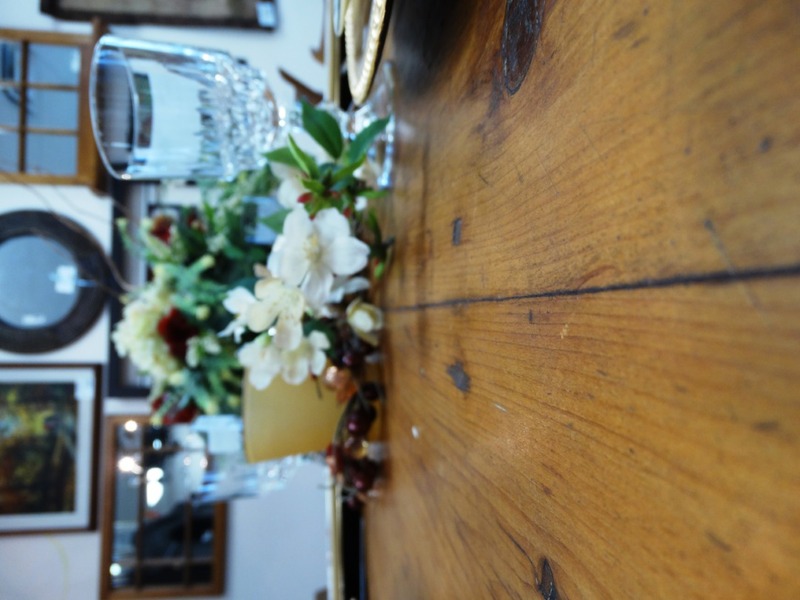 The table will make the first impression when your guests enter your home to join you for Thanksgiving dinner. Why not make it special? We decorated this beautiful Vintage Harvest Table with a simple and elegant set of Noritake china added some fancy Silverware, Crystal Wine Glasses and a Centrepiece and ta da! 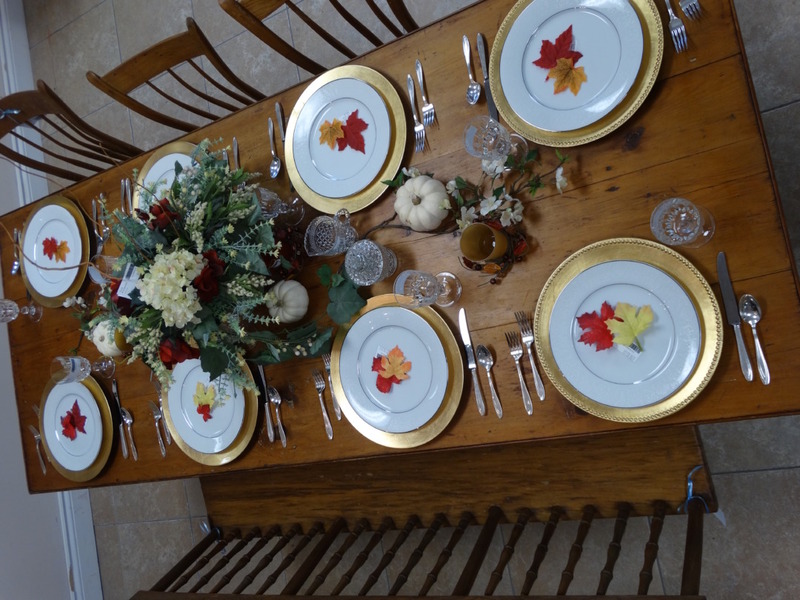 An easy Thanksgiving table setting, that looks great! Happy Thanksgiving! Just a reminder that The Millionaire’s Daughter stores will closed Monday October 12, 2015.